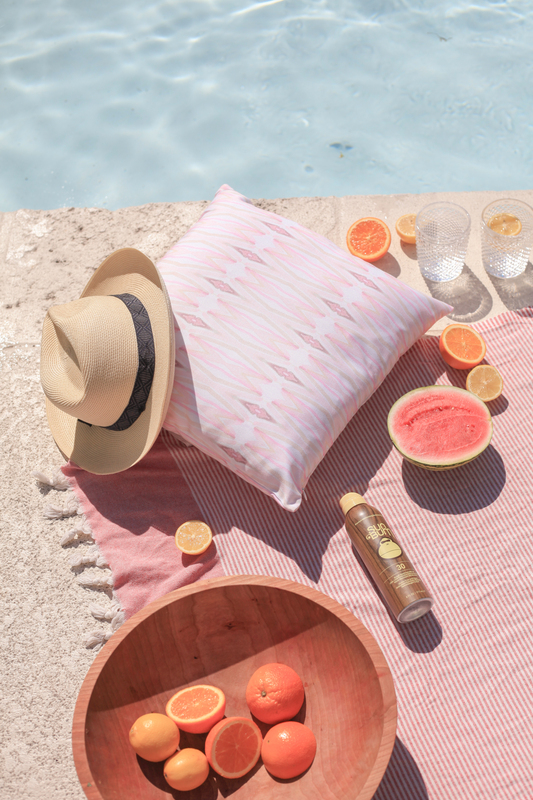 Just in time for summer, our luxurious Poolside Collection was inspired by long, lavish days spent by the pool at the iconic Beverly Hills Hotel in Los Angeles. The dreamy “Pink Palace” is the ultimate beacon of timeless allure in Los Angeles, and has been the place to see and be seen for over a century. With an unforgettable fusion of vintage glamour and modern luxury, we hope to sweep you away with the same soft hues. Adorn your outdoor spaces with elegance and style, make every area of your environment inviting. Surround yourself with fresh fruit and flowers, modern bohemian patterns, and a dreamy summer color palette. Setting your table and outdoor spaces with intention will ensure you’re sent into the season with panache. Enjoy taking a tour through our new summer collection, and feel inspired to create your outdoor oasis this summer! Check out some of our other Summer Favorites!